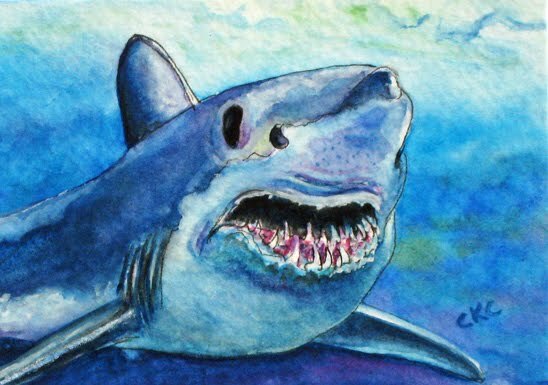 Original Watercolor Painting Sandtiger Shark 4" x 6"
A lifelong love of sharks led me to create this 4" x 6" watercolor. After receiving my BS in Biology, I worked in the aquarium field for over a decade and spent a lot of time with captive tropical species. Several research projects were designed and conducted using sharks as the subjects. 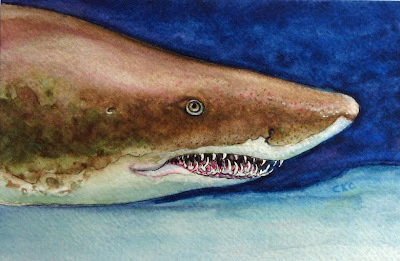 One study involved the operant conditioning of a female sandtiger fondly named “Mama”. She was taught to touch a target and have a buzzer sounded then receive a food reward. She did very well on her trials with 88% success. She was truly a beautiful shark and taught her care takers well - this painting is dedicated in her memory - 'Swim free beautiful lady'. Glittering ink sparkles on this painting resembling the light reflection off the dermal denticles (scales) of the shark. 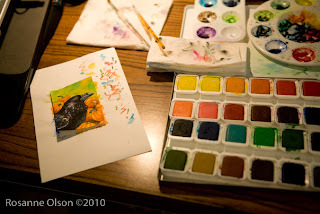 What a fun painting this colorful art card was to create. I love all the hues in the seahorses and the corals. 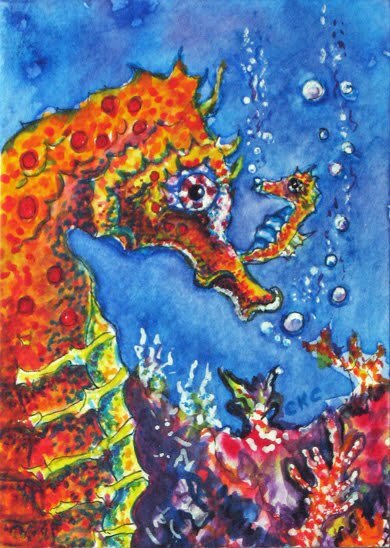 The tiny baby seahorses emerge from the male's pouch and they are little clones of the parents. What beautiful creatures they are. Painting this shark was a fun process. 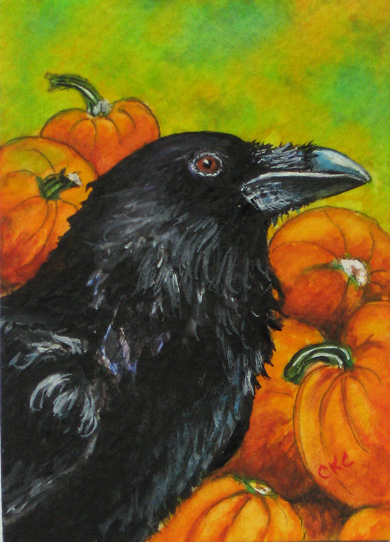 I thoroughly enjoy the design of these creatures. In fact, evolutionarily speaking, hammerheads are more recent in nature that many of the other sharks species. The flattened head and eyes protruding from the large 'hammer' give this species an advantage. Hammerheads use their extra sensitive snouts to help locate prey and the hammer shape allows them to have more surface area for detection purposes. 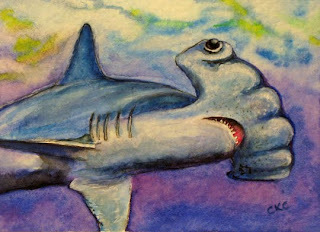 This shark is swimming through the sea on the prowl for potential prey. 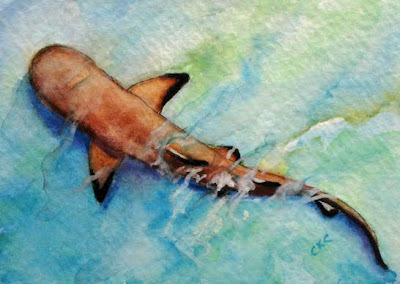 Hammerhead Shark "On the Prowl"